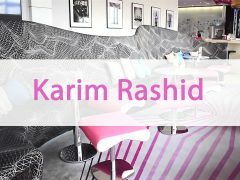 Today you can see a lot of unusual hotels, whose design is also unique. Each owner wants to stand out from the crowd, thereby to become popular. We present you the 10 world’s most unusual hotels. 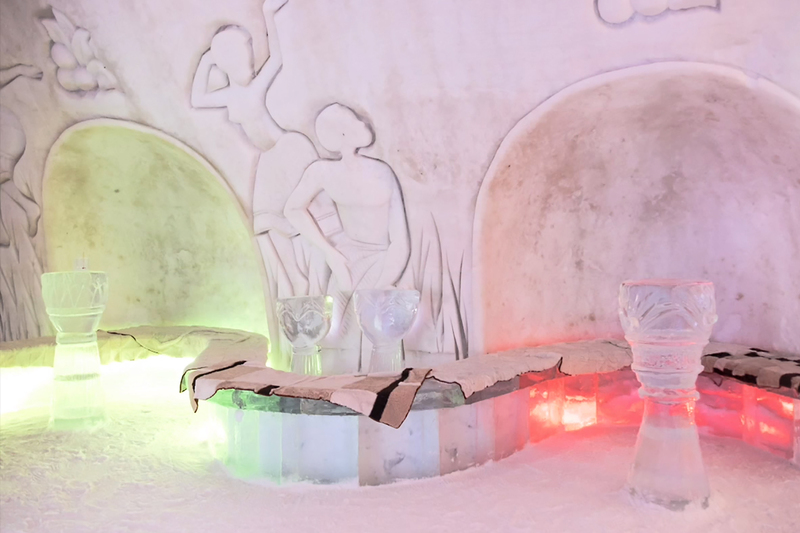 Icehotel in Sweden is one of the most unique hotels in the world. Every winter, an international group of architects and artists come to the village of northern Sweden, to build a hotel from ice. Interior styles change every year due to the fact that every ice springs. Visitors staying at night, give thermal underwear, a hat and a sleeping bag. Visitors in the morning waiting for hot cranberry tea. In the rooms the temperature does not fall more than 7 degrees below zero. 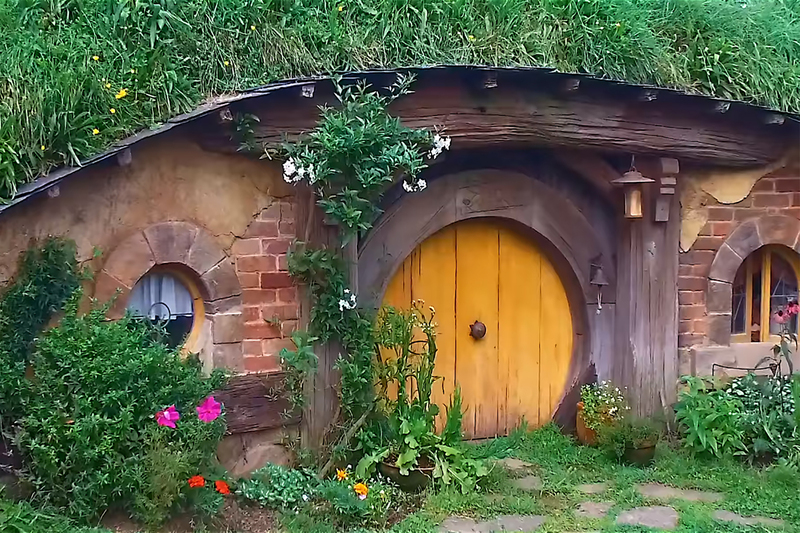 The Hobbit Hotel is located in New Zealand near the town of Matamata. The hotel consists of small houses, stylized as a dwelling of hobbits from the Lord of the Rings trilogy. The houses are built of natural wood, and the interior design work fully corresponds to the movie. There are 44 burrows in the hill, and it was here that the film was shot. A stunning view of the green lawns opens around the hotel. 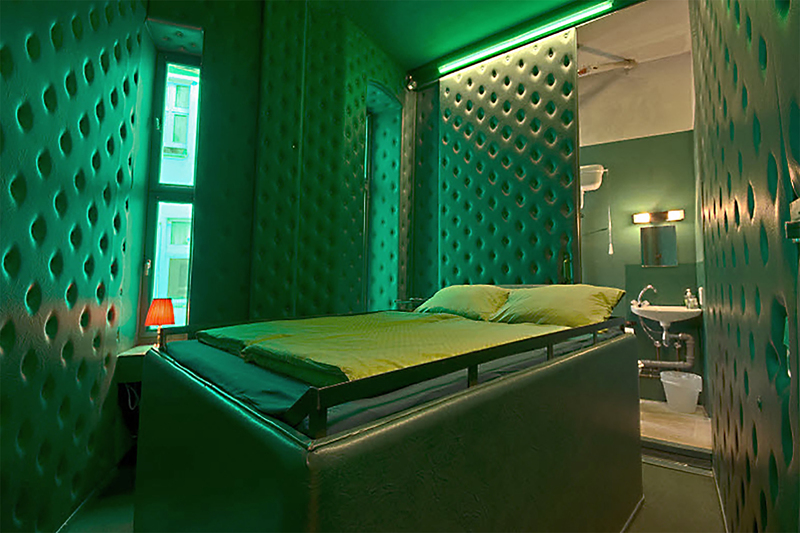 Propeller Island City Lodge is located in the heart of Berlin. Each room is a mad fantasy of the artist. The hotel has 30 rooms, and each room is not like the other. Above all in one room, you will visit the forest, in another you will sleep in a coffin, also you may encounter an inverted room, and the room fully decorated with mirrors. 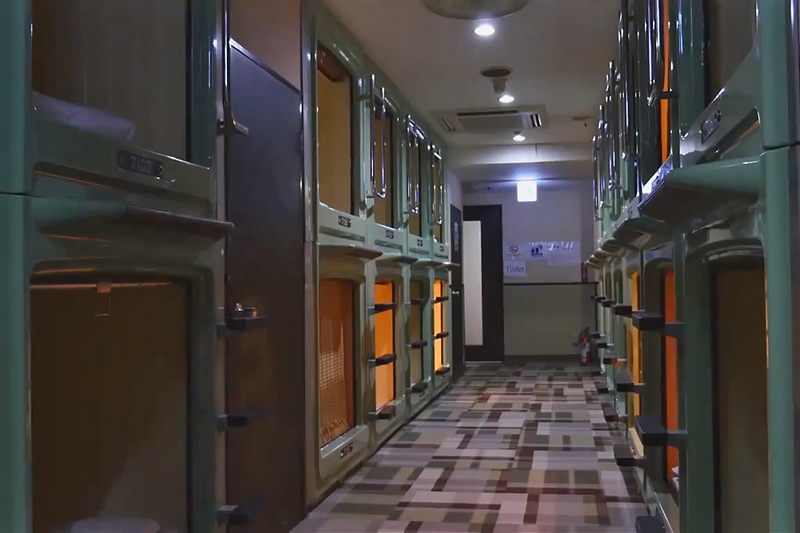 Capsule hotel is located in Tokyo. The hotel consists of two parts: a common living room and a private space for the guest, where the capsule rooms are located. The rooms are made of reinforced plastic including all the necessary amenities: TV, radio, alarm clock, bed, lighting, internet and no space. The first capsule hotels appeared in 1970 and are still at the peak of popularity. 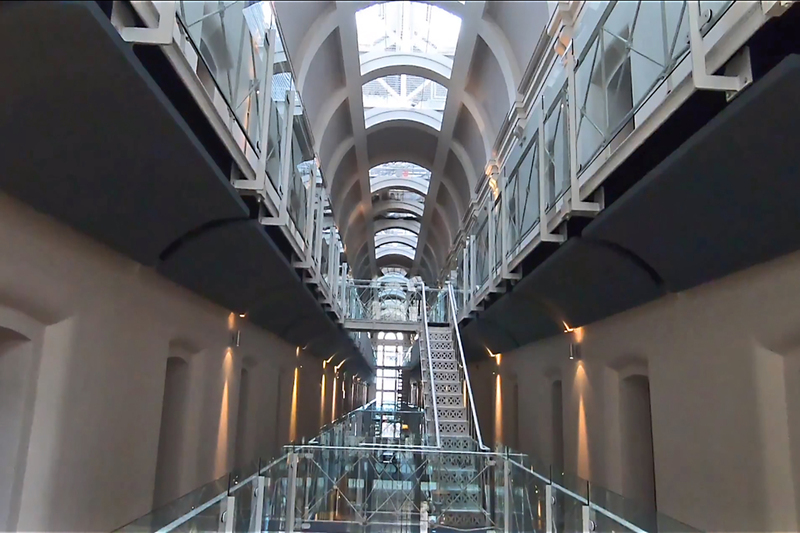 Hotel Malmaison Oxford Castle was unveiled in the former royal prison of the XI century, which in 2005 was bought by the Malmaison hotel chain. There was not much work for the designer interior: lattices, barbed wire fencing and the environment still remind of the prison past. But the one who decides to stop at this hotel, will find coziness and comfort. The rooms are furnished with designer furniture, there is also a restaurant and a pub. Chocolate Suite is a room in the hotel in Paris. Karl Lagerfeld, at the request of Magnum, designed the room. The creation of the room went three kinds of chocolate. 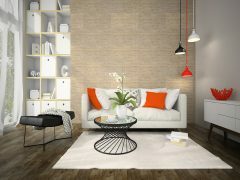 For maximum realism of the room, it was necessary to carefully think over the details. First of all in this room you can not sleep on chocolate. This room is a kind of company’s advertising. The Giraffe Manor Hotel is located in the suburbs of Nairobi, Kenya. Waking up in the morning, you can see a giraffe in the room window. Welcome to Kenya, if you want to relax with giraffes. This is a luxury African hotel that allows you to live as close to these animals as possible. You can even touch them without leaving the room. 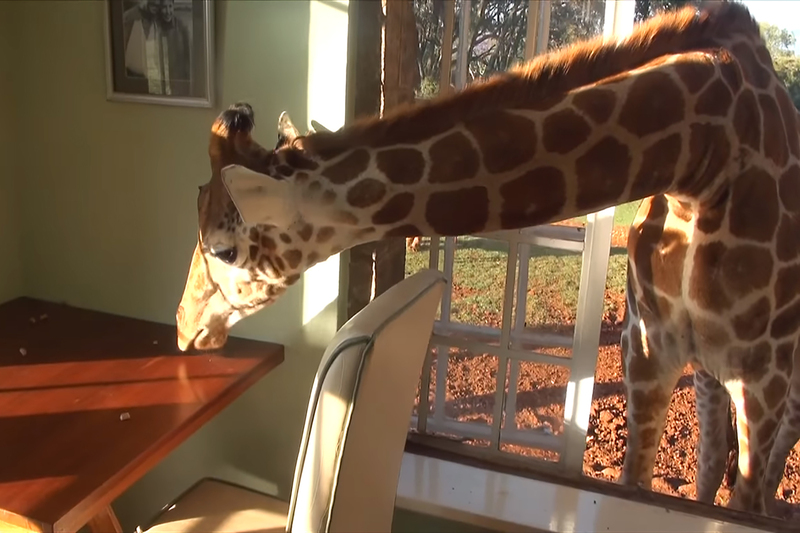 Giraffes can bear you company on time for breakfast, and you can treat them with sweets. In Bubble Hotel in Attrap Reves you can enjoy nature and have all the amenities. 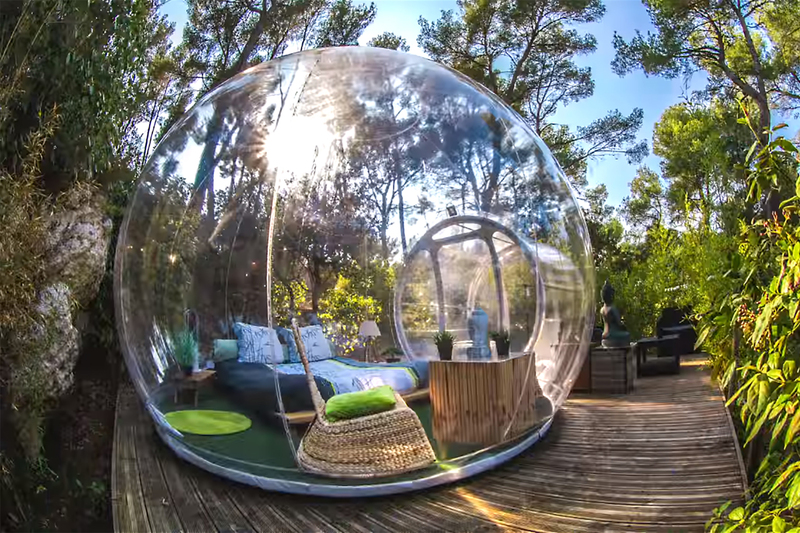 This is a French hotel, the rooms of which are small bubbles among the nature. The quality of accommodation in these rooms is equal to the suite, and at night one can enjoy the view of the starry sky right from the Jacuzzi. Underwater Hotel Jules`Undersea Lodge in Florida, USA. It is located in a former laboratory on the study of the coastal shelf. After the closure of the laboratory, an entrepreneur decided to create an underwater mini hotel. 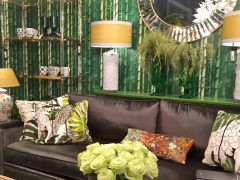 The interior design USA is very attractive. 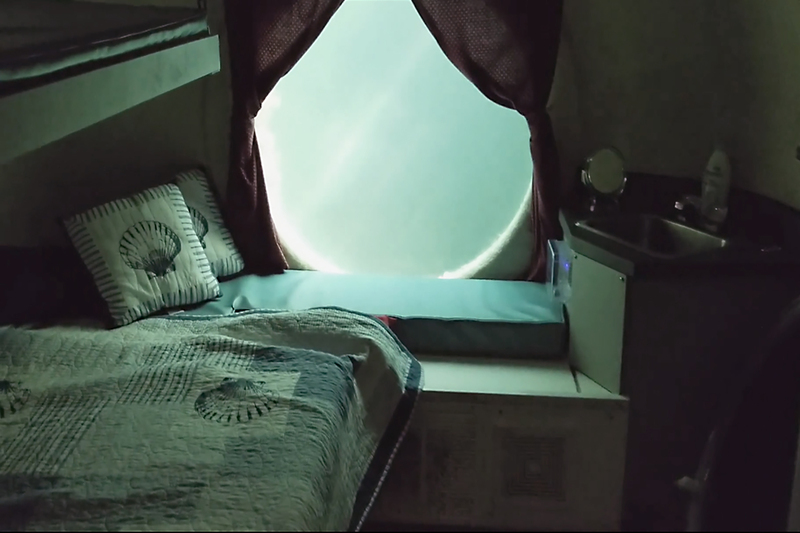 Huge round windows in the rooms allow you to watch the underwater world. Also, however, the hotel is not large and accommodates a maximum of 6 people. You can get to this place only by sailing under the water, as the hotel is at a depth of 6.5 meters. Hostel STF Jumbo Stay Stockholm. This Boeing 747-200 never leaves the ground. To create such a hotel, it was not necessary to contact 3d design studio and render. The plane stands at the Stockholm International Airport in Sweden. In 2008, the building was converted into a hotel of 27 rooms. The most desired and most expensive is the suite, cockpit.